I don't know how I got so lucky last week but two amazing ladies drew some portraits for me that I am crazy about! First Andrea of Paper Sparrow drew this adorable portrait based on our anniversary photos. 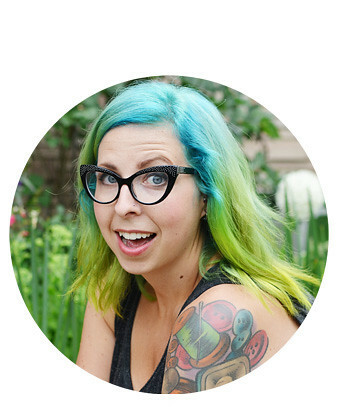 Andrea does custom portraits so you can chat with her if you are interested! I don't want to get all bossy on you but you should check out her other custom portraits, they are fantastic. I love that Ivan is holding a guitar and that I'm holding my Diana camera. Oh, and obviously I am beyond thrilled that Andrea included Farva and Anakin! I'm totally crazy about this family portrait and when we finally properly decorate our bedroom this is going on the wall. 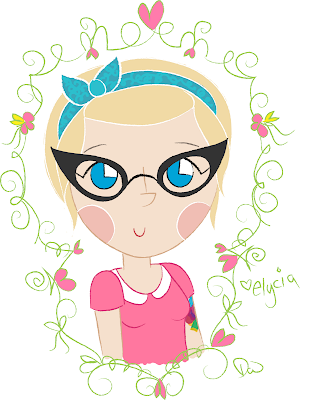 Then the lovely and talented Daisy of Boux Who (one of my awesome sponsors this month) cartoonified me and made me waaaay cuter than I am in real life. I love it so so much and I wish my real life self looked more like a cartoon. I really love Daisy's drawing style and the way she interprets the little detais like my glasses, bow, dress and tattoo! Also, the colour scheme is perfect. You can check our more of Daisy's characters here! Thank you so much Andrea and Daisy. I feel very lucky that you talented ladies took the time to draw me. Today I am up in Quebec for a bachelorette. I definitely miss Ivan and the kitties but it nice to spend some time with some awesome ladies. I hope you are all having a great Saturday! These are fantastic!! I love them, you must be thrilled!! Aaw they are both so beautiful! Daisy's is my favourite one. Wow, these are too cute! Awe! How cute are those! I love both of them. Soooooooo cute, like I can't even get over the cuteness!!! Aaaw, I love these! Paper Sparrow is so great (the cats! ), and the one from Daisy is probably the cutest cartoon I've ever seen :) Thanks for sharing! Oh my gosh these are just too cute! How beautiful is that?!! So darn adorable. awwwww!! These are both SO cute!!! I always love Andrea's work - so fun to see it over here!! 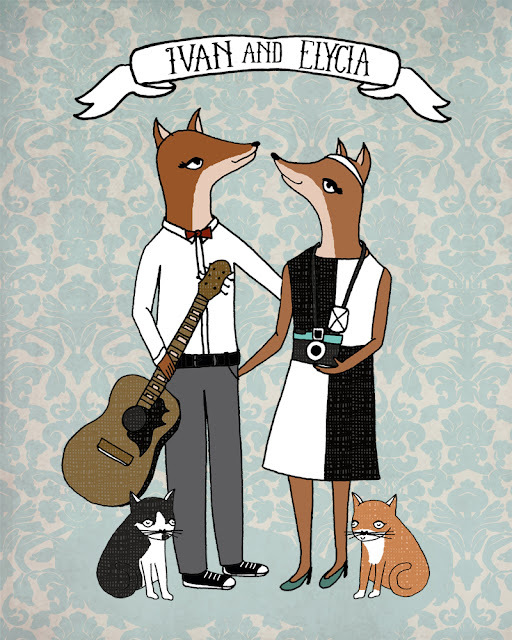 Awww, I'm in love with the family portrait by Paper Sparrow - it's perfect! Especially with the cute kittens, the accessories you're holding in your hands and of course the pretty banner. So cute! In the second one I think you kinda look like a Powerpuff girl, which is awesome.